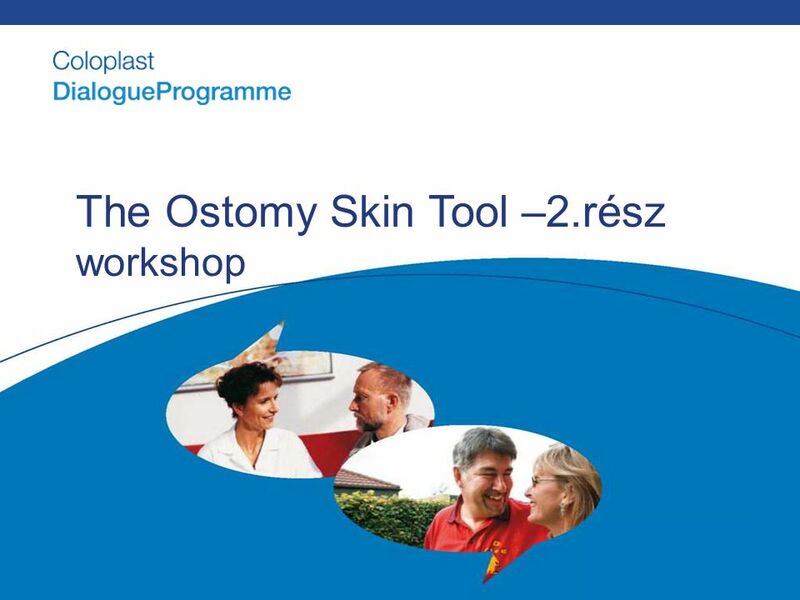 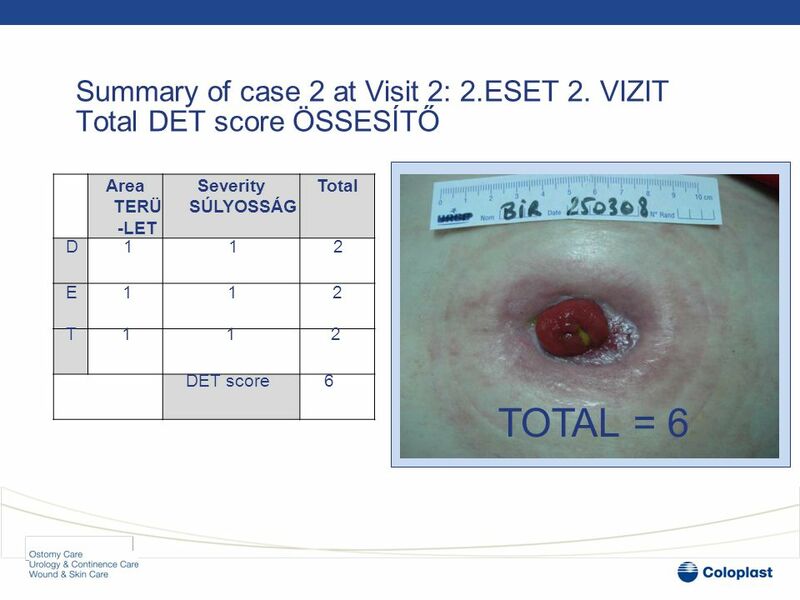 The Ostomy Skin Tool –2.rész workshop. 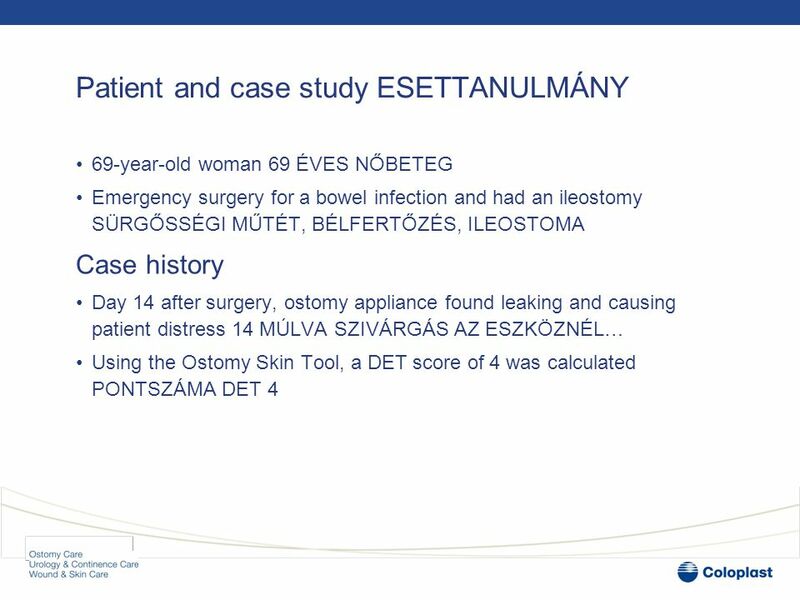 The Ostomy Skin Tool Workshop and case studies ESET TANULMÁNYOK Anna Monika Tomanek Clinical Advisor. 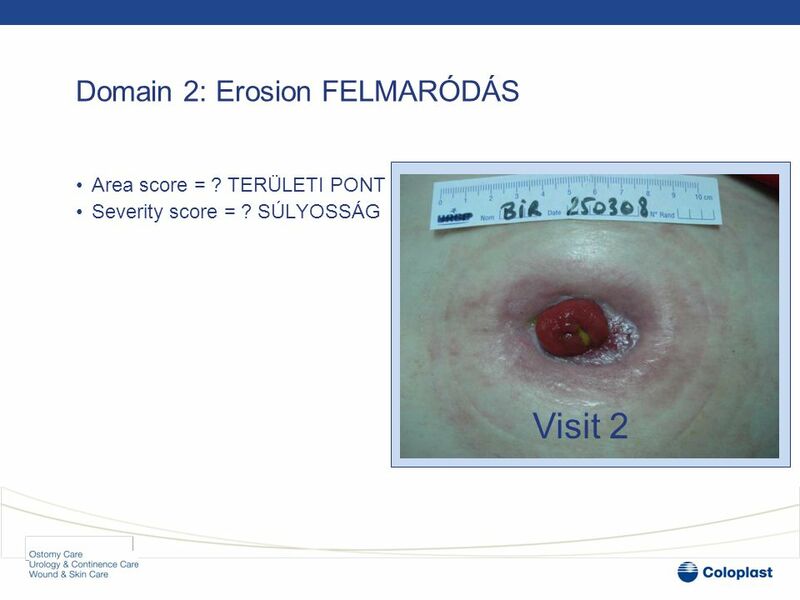 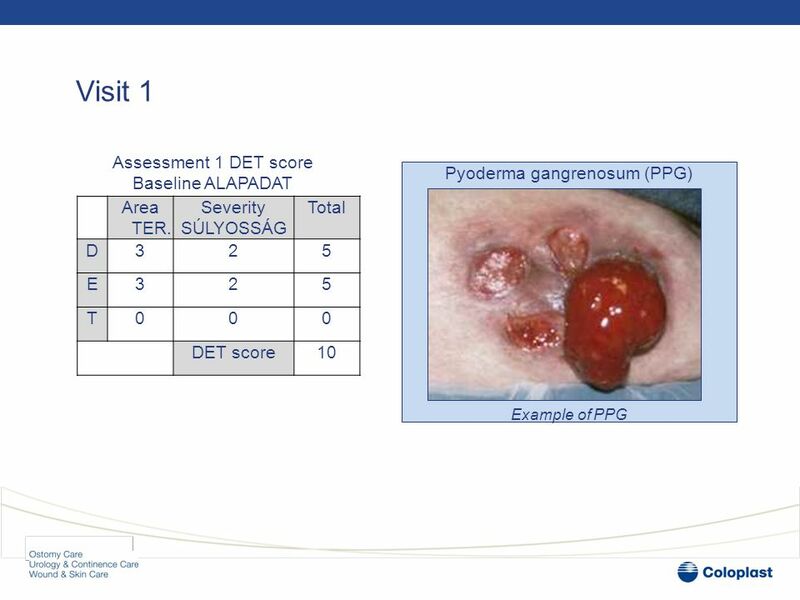 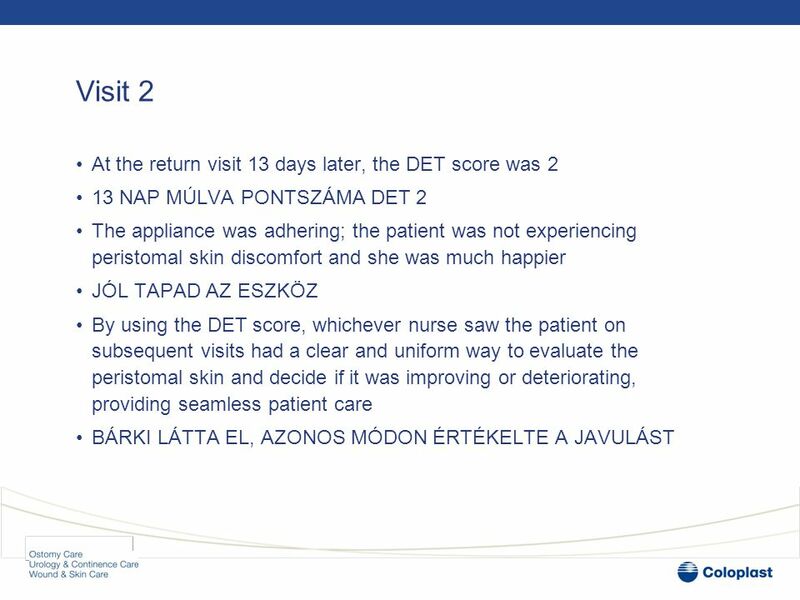 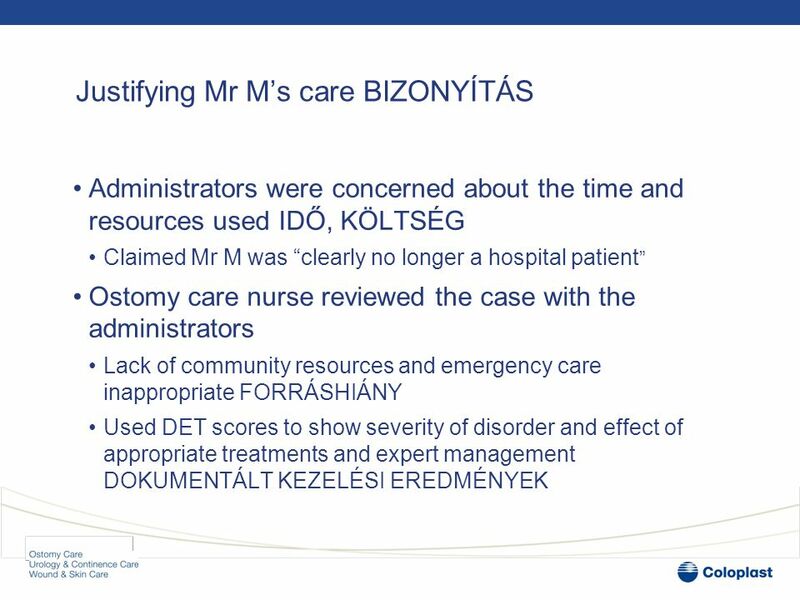 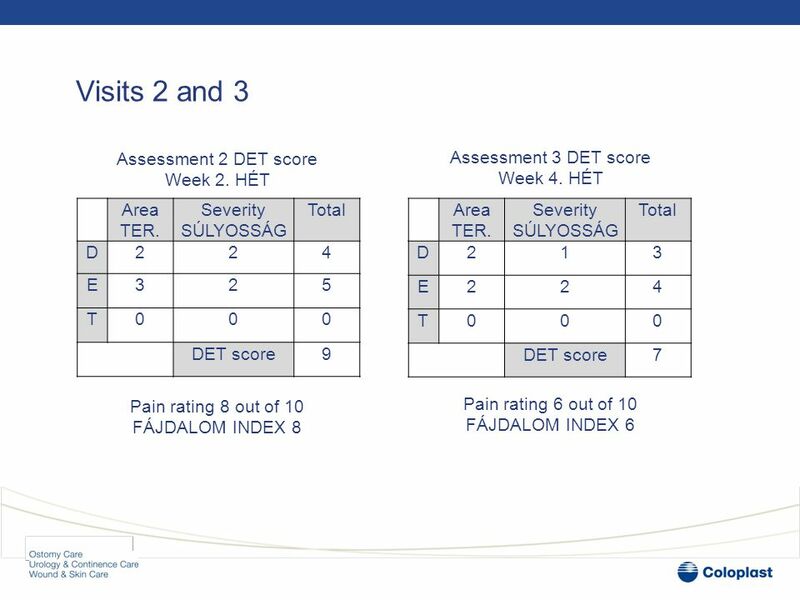 7 Domain 1: Discolouration ELSZÍNEZŐDÉS •Area score TERÜLETI PONT= 1 •Severity score SÚLYOSSÁGI PONT = ? 10 Domain 2: Erosion •Area score = 1 •Severity score = ? 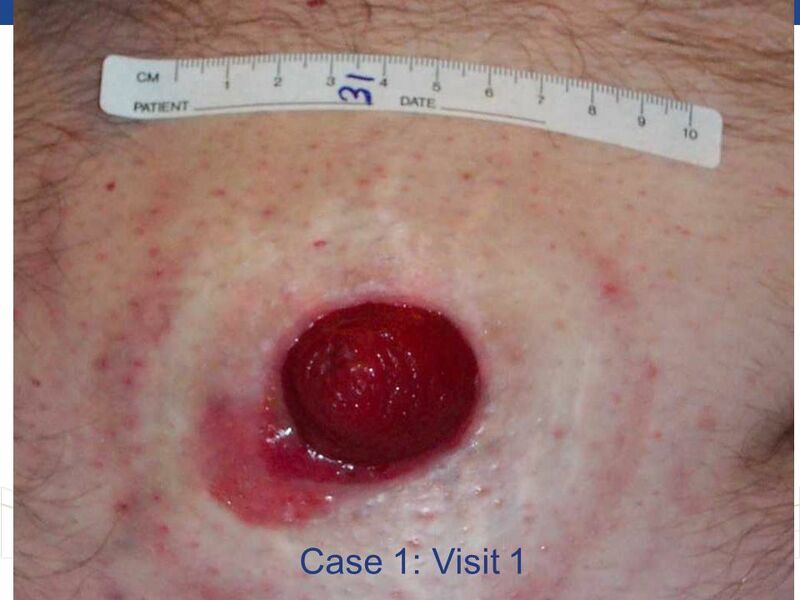 13 Domain 3: Tissue overgrowth •Area score = 0 •Severity score = ? 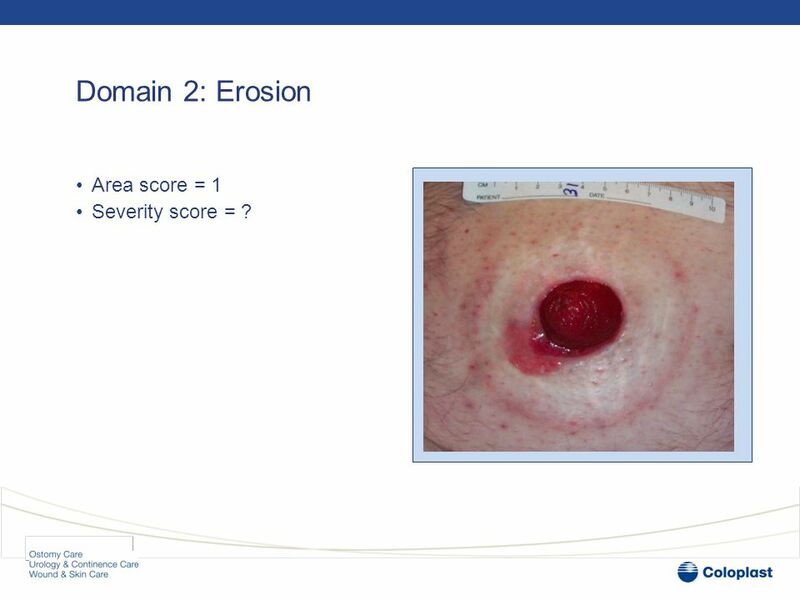 33 Domain 2: Erosion Visit 2 •Area score = 1 •Severity score = ? 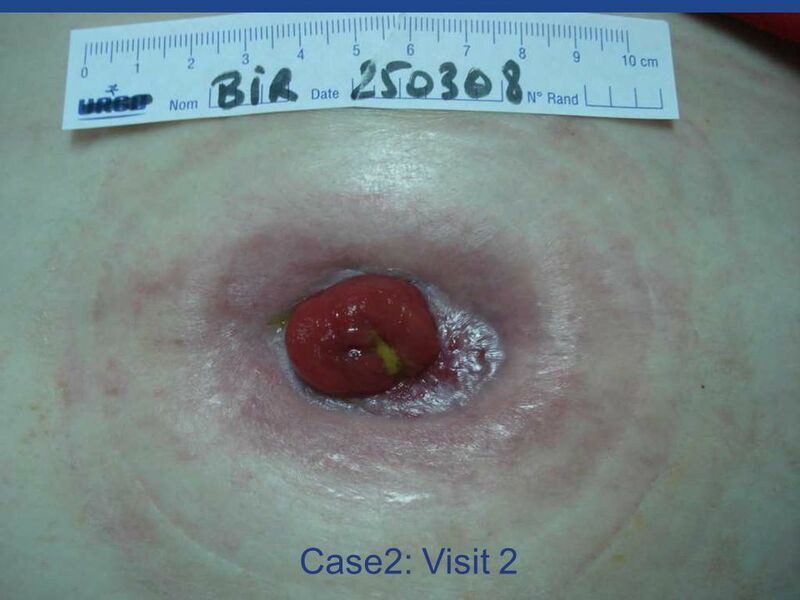 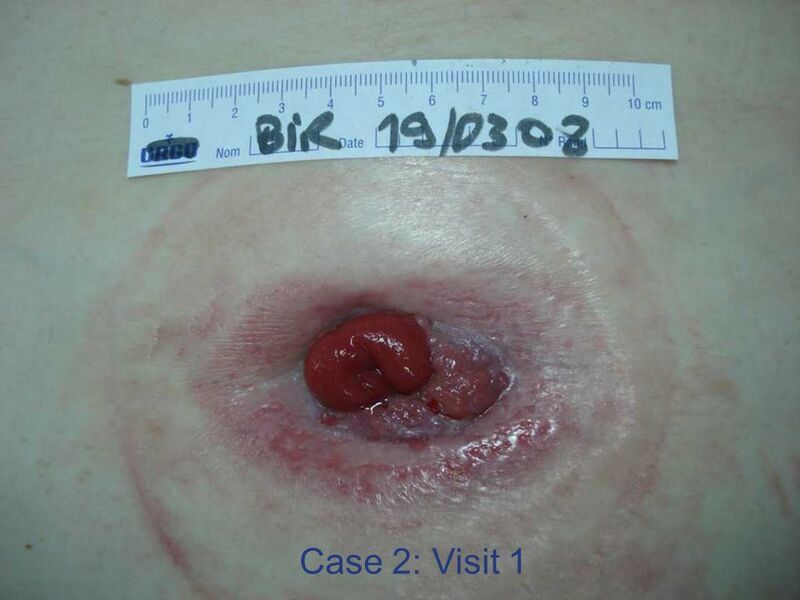 36 Domain 3: Tissue overgrowth Visit 2 •Area score = 1 •Severity score = ? 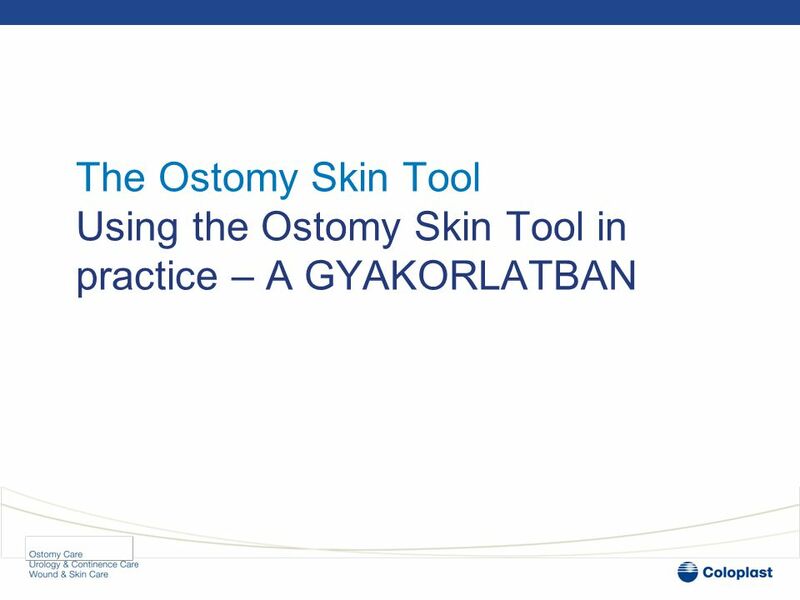 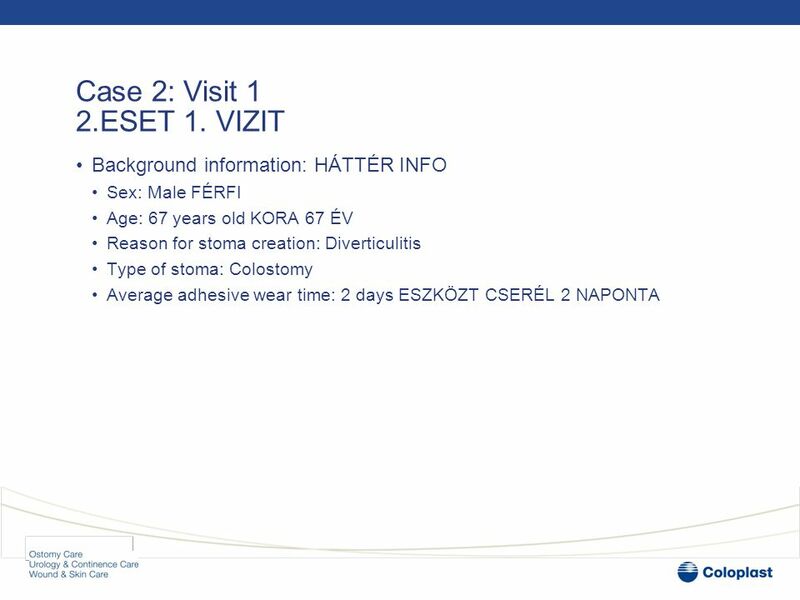 Letölteni ppt "The Ostomy Skin Tool –2.rész workshop. 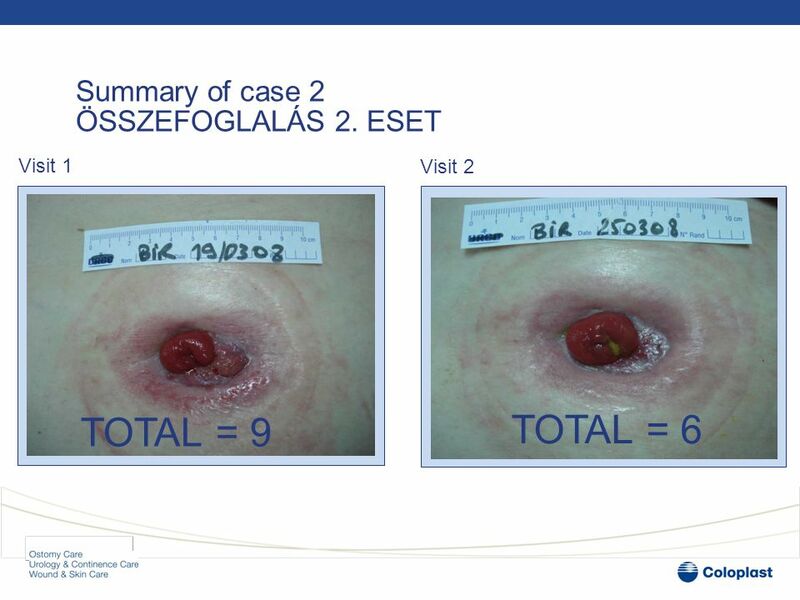 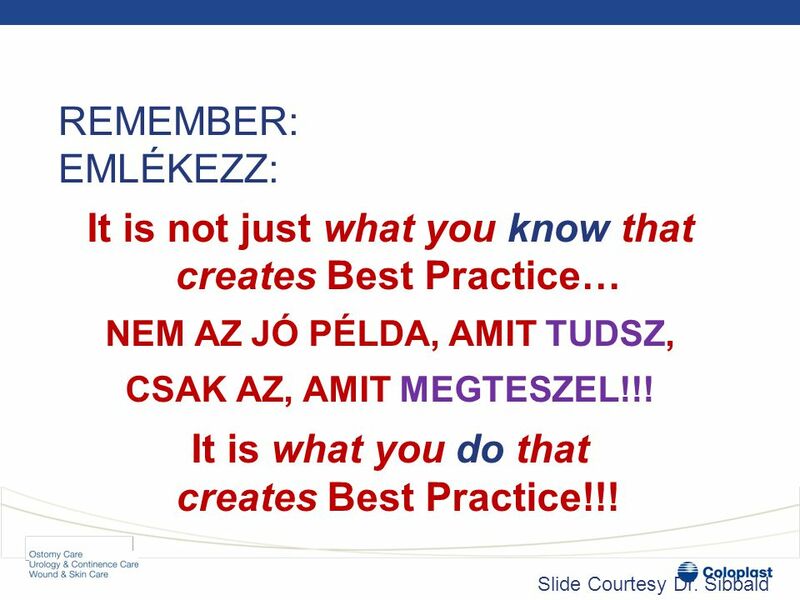 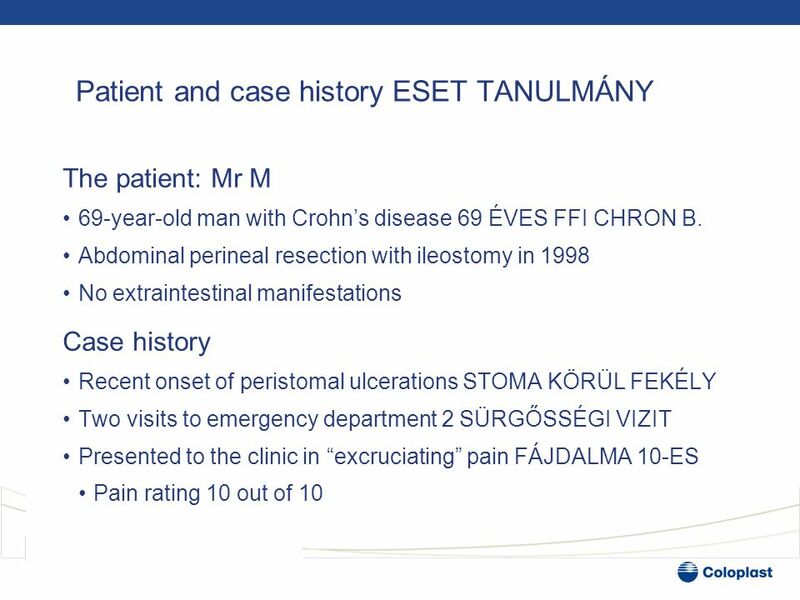 The Ostomy Skin Tool Workshop and case studies ESET TANULMÁNYOK Anna Monika Tomanek Clinical Advisor."